Archie Mickelson established his Phoenix concrete burial vault company in 1937. His nephew, Harry Ray, joined the company after serving in World War II. In 1946, Harry and his wife Betty became partners in the company and the name was changed to Mickelson & Ray Vault Company. Soon thereafter the Rays bought out Harry’s uncle. For nearly 40 years, Betty and Harry ran Mickelson & Ray Vault Company. Betty answered the phone taking customer’s orders while Harry managed the production facility and handled the deliveries. In 2001, the Arizona Funeral Directors Association honored the Rays dedication to the industry with the Lifetime Achievement Award. In 1983, their son, Terry Ray, bought the company when his parents retired. 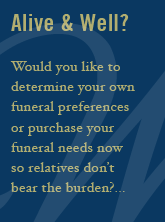 In this decade the company became the exclusive licensee of Wilbert burial vaults and cremation urn products for the state of Arizona and Las Vegas, NV. In the1990’s the company began manufacturing and installing precast concrete columbaria, opened a Casa Grande facility, completed its first major lawn crypt installation, and changed its name to Mickelson & Ray, Inc. In March of 2000, the company combined its Phoenix and Casa Grande operations into a state-of-the-art administrative and manufacturing facility in Phoenix. This facility includes 10,000 sf of indoor storage for Wilbert burial vaults, an advanced concrete batch plant, and a product display room/training center. In 2001 the company added granite memorials to its product line. In 2005 the company modified its concrete batch plant in order to provide concrete to independent ready mix providers in the Phoenix area. The family business is in its fourth generation as co-owner P. J. McCloskey, Terry’s son-in-law, now directs the company.